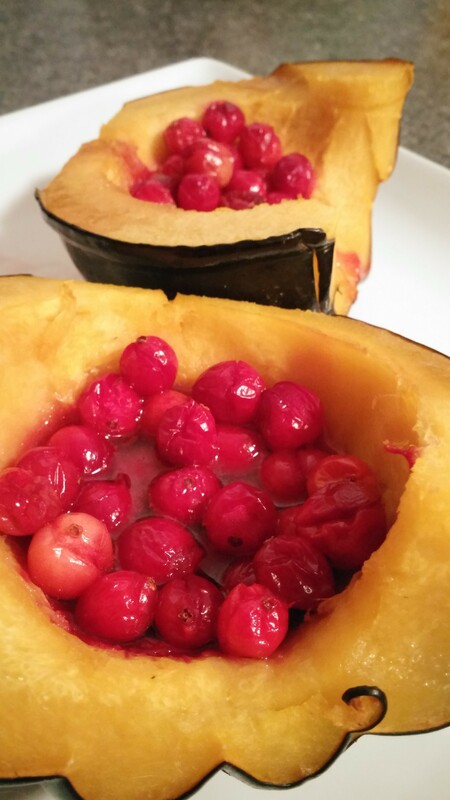 Today I am sharing a delicious squash recipe! A friend had this and shared the idea with me and I created this one from the ingredients she told me with a small addition! It is a great sweet addition to any meal! ENJOY! I didn’t measure, just filled with what I thought was a good amount and not TOO full! Cut your squash in half lengthwise. Scoop out the seeds. Spray the inside with Pam and place cut side down in a baking dish. I added a little water to my baking dish. Bake at 375 degrees for 20 minutes. Remove from oven and turn both halves over. 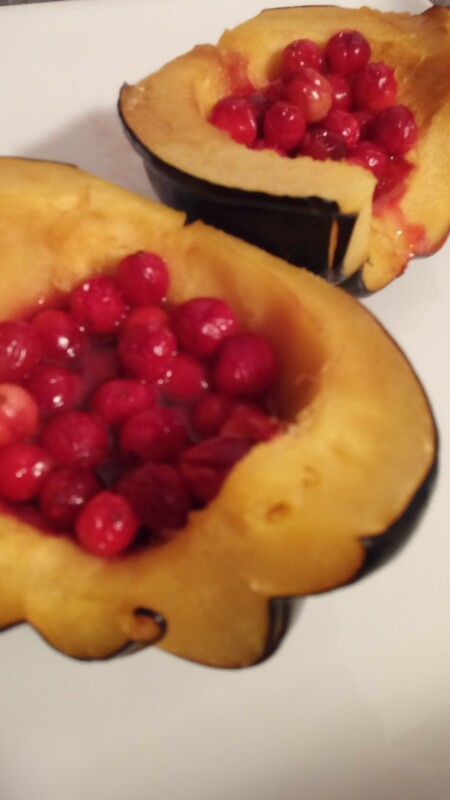 Add a splash of orange juice to each, then add fresh cranberries and brown sugar and mix gently. Place back in the oven for 20 more minutes! This one makes your home smell sooo good! ENJOY!